This pincer ( ) was the dominant one in pro play during the middle years of the twentieth century. Naturally plenty of research has been carried out on it. White a and b are much more common than the many other replies. 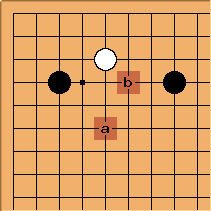 They have distinct strategic meanings: White a (3-4 point low approach two-space high pincer two space jump) is a light play which can lead into a counter-pincer plan, while White b (3-4 point low approach two-space high pincer kosumi) is for immediate life. 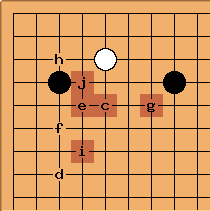 There are a few more variations (if ten isn't sufficient), some of which are in joseki books but not really current in pro play. tderz: Interesting that tenuki scores so high on the list. 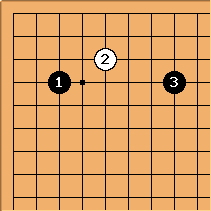 Is it linked to a white play on lines below d (thus not completely tenuki, rather a kind of counter-pincer)?